Register drivers before May 28! MAKE THE CALL. SAVE LIVES. Representing a widely diverse membership, the Motor Transport Association of Connecticut (MTAC) works tirelessly day in and day out, year after year, on the issues that affect the bottom line of every company. Facing concerns over regulation, taxation, and legislation on behalf of our membership is just one reason companies belong to MTAC. Expert advice on complicated regulatory laws, valuable training seminars, one-stop shopping for DOT-required paperwork, and ancillary services such as health insurance programs and access to Connecticut’s largest drug and alcohol testing consortium are all additional member benefits. Motor Transport Association of Connecticut (MTAC) has on-staff professionals providing a variety of training opportunities and seminars at our office in Hartford. MTAC members receive discounts on seminars. Read more. 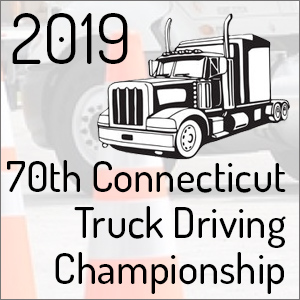 Motor Transport Association of Connecticut is the strong voice and advocate for the trucking industry in Connecticut. Whether it’s fighting tolls, red light cameras, caustic road chemicals or onerous taxes; MTAC fights for the interests of our members at the State Capitol and the halls of government at the state and federal level. Legislators and agency officials respect MTAC’s commitment to safety, fairness and making Connecticut a better place to operate. Read more. MTAC has a variety of products available for members and non-members that your company needs to be in compliance with Connecticut and federal regulations. Contact us for more information.